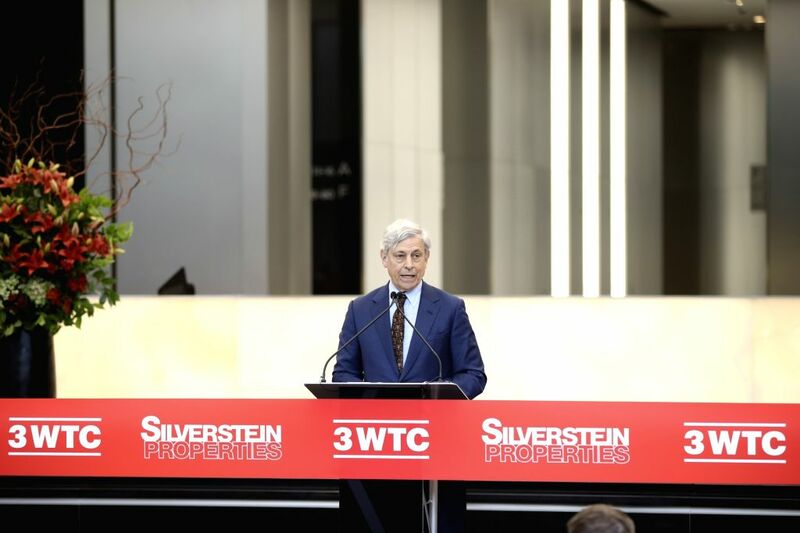 NEW YORK, June 11, 2018 - Port Authority Executive Director Rick Cotton delivers a speech at the opening ceremony of 3 World Trade Center in lower Manhattan, New York, the United States, on June 11, 2018. 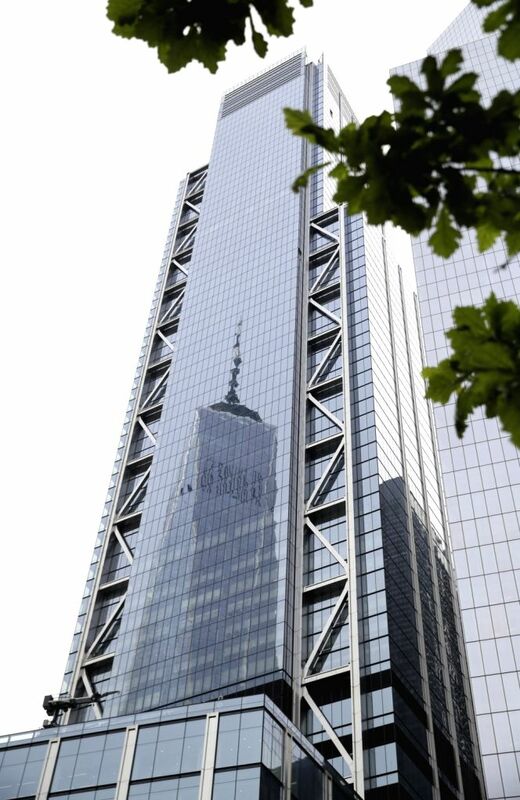 The 80-story, 329-meter-high 3 World Trade Center was officially opened here on Monday. The office building becomes the fifth tallest tower in New York City. 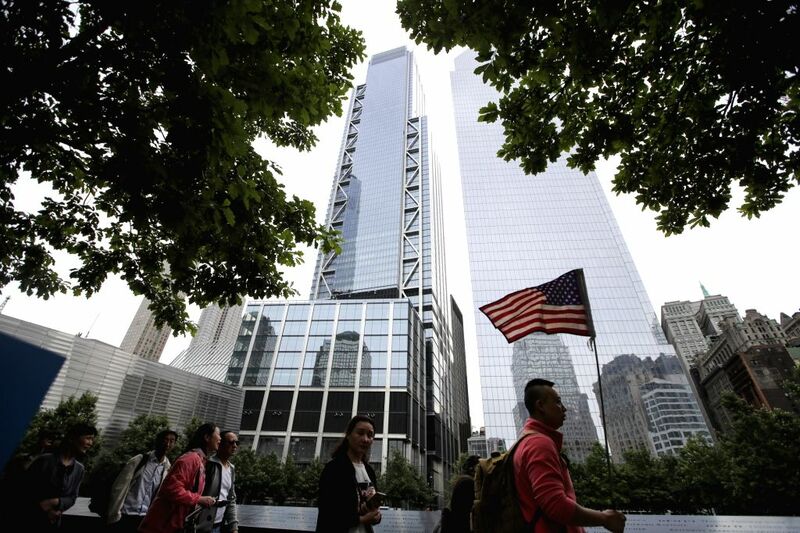 Tourists walk past 9/11 Memorial & Museum in front of 3 World Trade Center (L, Rear) in lower Manhattan, New York, the United States, on June 11, 2018. The image of One World Trade Center is reflected on the exterior surface of 3 World Trade Center in lower Manhattan, New York, the United States, on June 11, 2018. 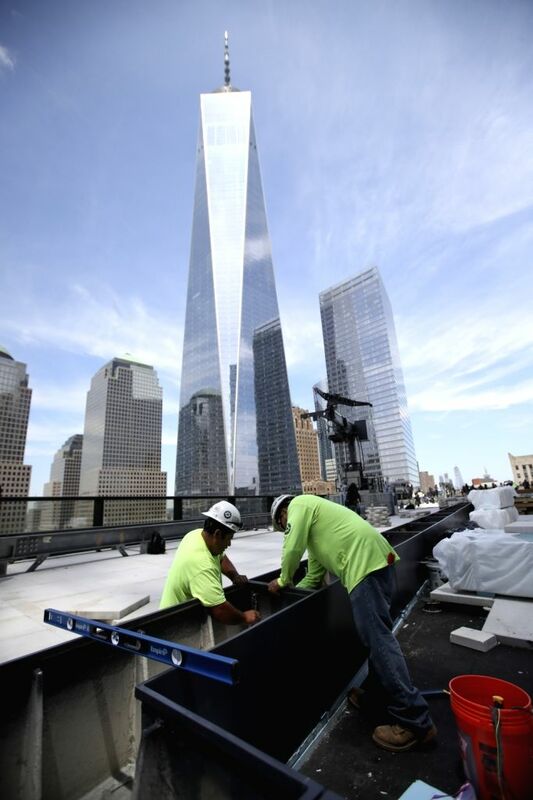 People work on the platform of 3 World Trade Center in lower Manhattan, New York, the United States, on June 11, 2018. 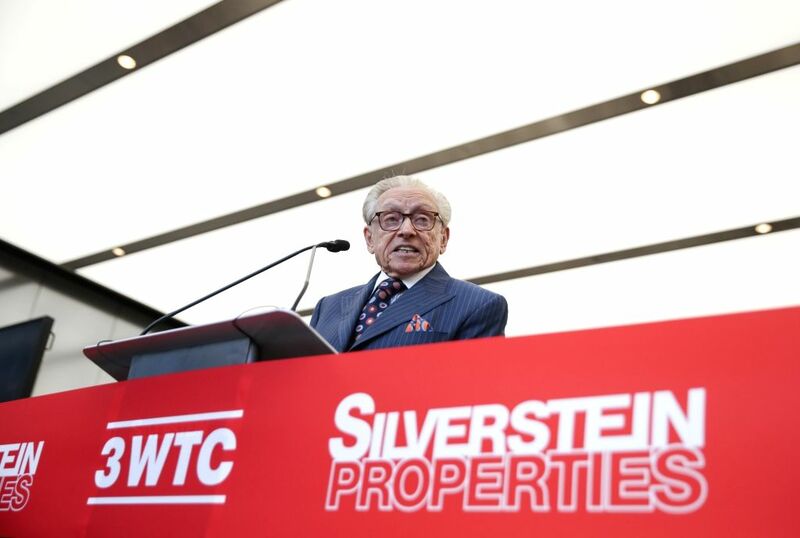 Larry A. Silverstein, Chairman of Silverstein Properties, developer of 3 World Trade Center, delivers a speech at the opening ceremony of 3 World Trade Center in lower Manhattan, New York, the United States, on June 11, 2018.